Dol-B Design is your one stop shop for everything IT. 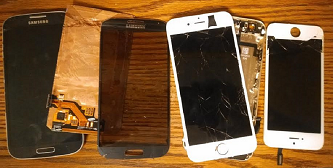 We are not just a phone and computer repair service, we are much, much more. We provide technical support for business and personal issues. We can provide consultations to help you evolve to the next level, and then act upon our consults in order to provide you, or your business, with technical excellence in every facet of IT. Business Solutions you can count on. Virtual Business Solutions to leverage your network share with very little footprint, and much more. Get the IT system or solution you deserve, without having to pay all those expensive fees and large monthly service charges for support that you do not always need. This market charges you, the client, a 75% markup for services or software in some cases, and it could be higher, but it is not much lower. We are not like the others. We believe in fair, reasonable, and honest prices, while not sacrificing experience and expertise. We believe in a relationship with our clients, and our work speaks for itself. You will not find this type of service anywhere else, where you matter, and we care because there is nothing we can’t accomplish. Whatever it is you need, we can provide a solution, and it will be much less expensive. We also develop custom web or client based applications We provide consultations for cyber security to help you secure your system and data to get the most out of your business systems and network while giving you the confidence of being protected. 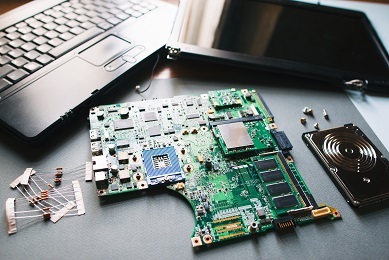 Call us today for free business solutions consults and computer and phone repair assessments.